My primary interest is in researching Canadian and British soldiers of the First World War. My projects often begin with a postcard or photograph but vary greatly in terms of background information. In some cases I find myself beginning my search with nothing more than an image of a uniformed soldier. Identifying a soldier’s unit, and sometimes the soldier themselves, from a single photograph is a skill that takes years to master. I am by no means an expert but I have had success in solving some mysteries and in one instance uncovered the identify of an unknown soldier. Over the years I’ve assembled a collection of resources I rely on to help me interpret the clues found in First World War photographs. If you’re embarking on some detective work of your own you may find these resources helpful. If you would like to suggest an additional resource please contact me or leave a comment below. I would love to hear from you. It takes time to build up a good library but these are the titles I’m pulling off the shelf on a regular basis. 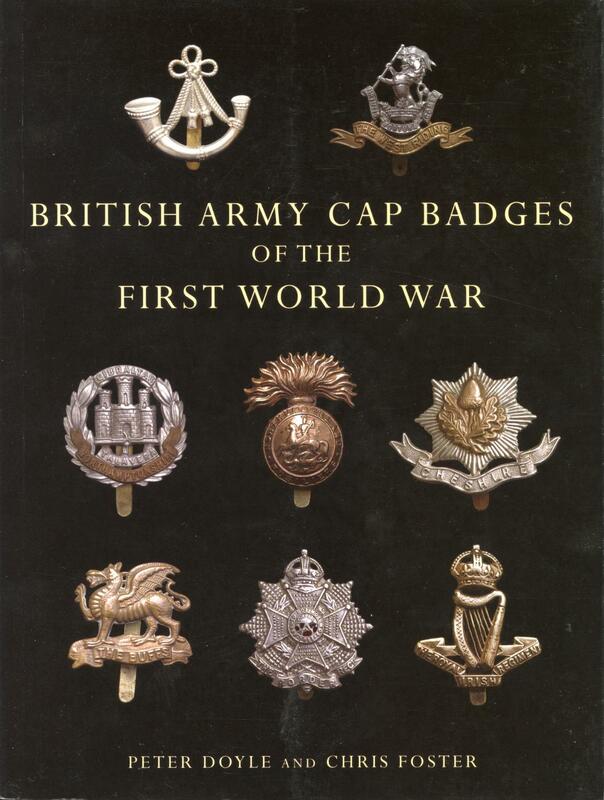 This is the book to own if you are trying to identify British Cap badges. 128 pages of high quality colour photographs and concise descriptions by experts in their field. It is very reasonably priced (under £15) and can be ordered online from Amazon.co.uk. 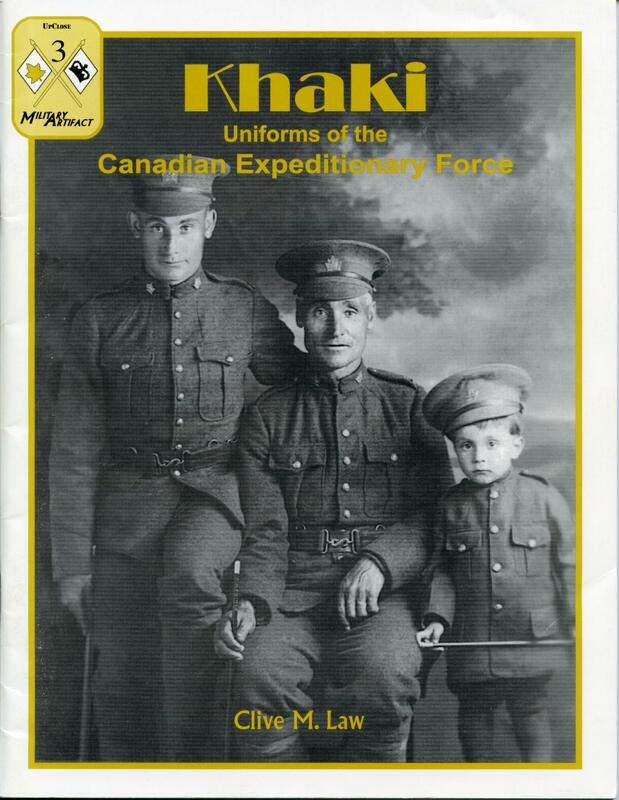 This is my go-to book for anything related to Canadian uniforms and insignias. 48 pages with b&w photographs and detailed descriptions that will help you uncover those elusive clues. It is well worth the C$25 price tag and can be ordered directly from the Service Publications website. I don’t collect medals but being able to identify a medal or medal ribbon can be very helpful. 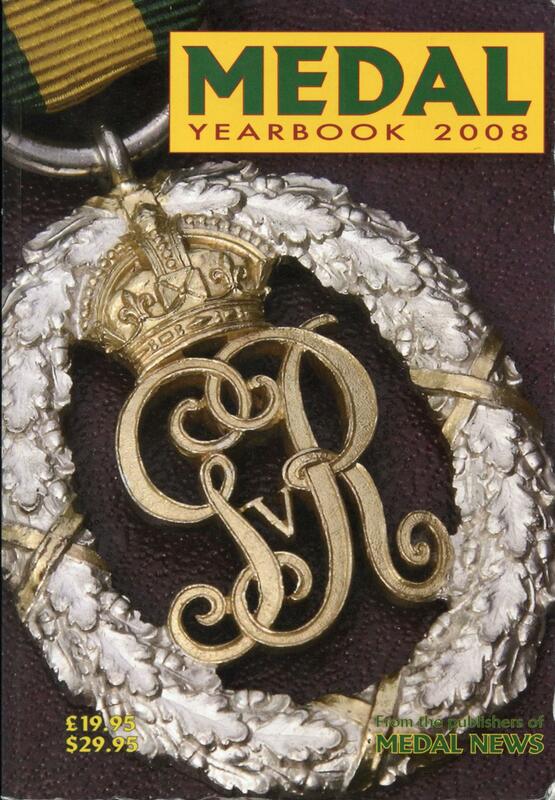 The Yearbook includes medals from Britain and other Commonwealth countries including Canada, Australia, New Zealand and South Africa. These are published every year for £19.95 and are available from a variety of online sources including the publisher. If you don’t require up-to-date valuations then look for an old copy. You’ll find some for sale on Abebooks.com or perhaps you can negotiate a good deal from a local dealer. This book covers military uniforms from 1865 to the Second World War, with nearly half the book dedicated to the First World War. 192 pages with b&w photographs and excellent descriptions. 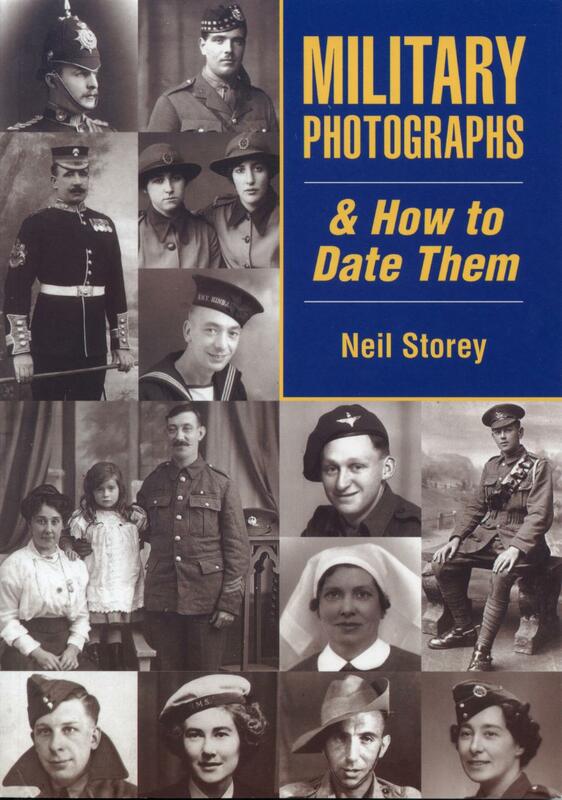 The book is primarily focused on British military photographs but examples of Australian and Canadian soldiers are also provided. It is very reasonably priced (under £13) and can be ordered online from Amazon.co.uk. 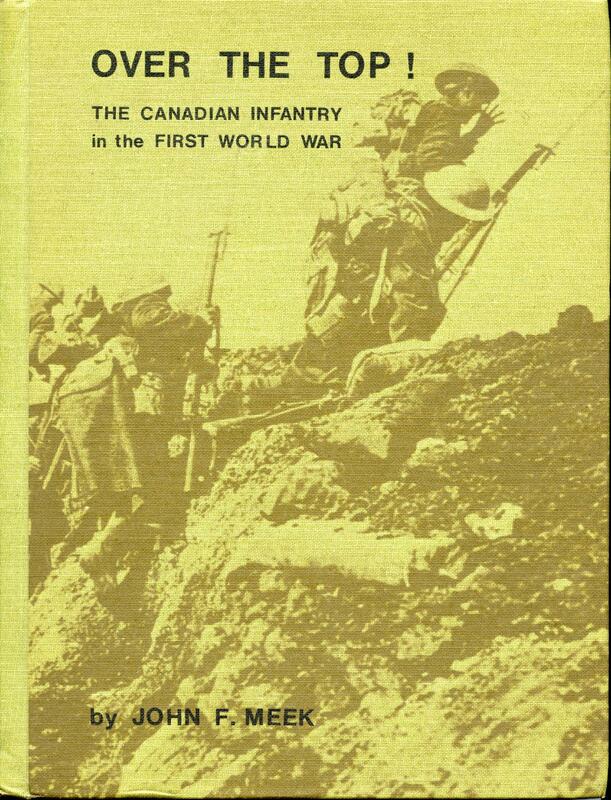 This is a limited edition (1000) hardcover book published in 1971 containing photographs of every Canadian Infantry cap badge as well as a synopsis of each Canadian Infantry Battalion. Sadly it is out of print but you may be able to locate a copy on the second-hand market (expect to pay over $50). 188 pages with b&w photographs. Note: a pdf version of this book is available (for private research only) from the Regimental Rogue website. I don’t own a copy of this book (yet) but it has been personally recommended to me. This 152 page guide with b&w photographs was originally published in 1999 but has been reprinted with additional images by Service Publications (C$45). This is an excellent resource for researching Cap badges. An extensive collection of Canadian C.E.F. 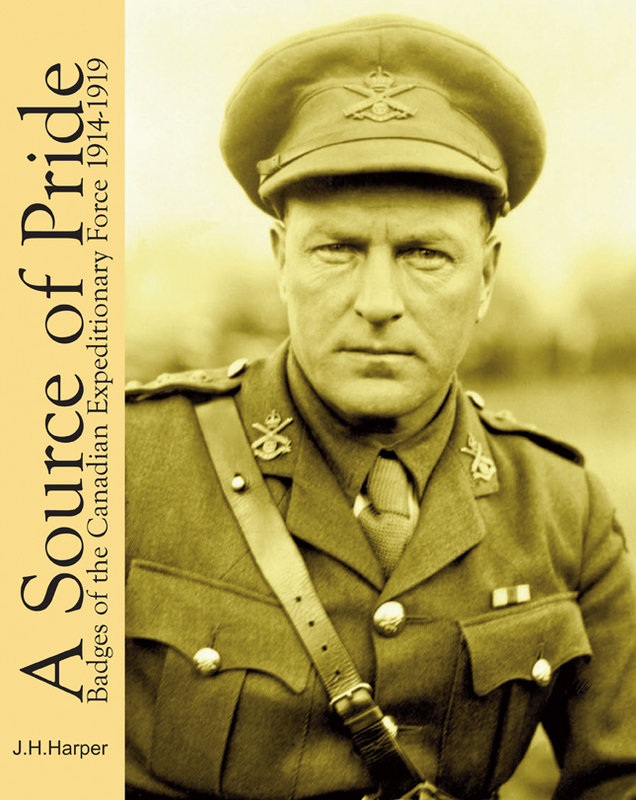 cap badges are featured on their Canadian Expeditionary Force page. This website has been on my links page since day one. It’s an excellent source of information on all aspects of CEF uniforms, insignia, patches, buttons, etc.. This website includes a useful summary of both Canadian and British First World War uniforms. A good overview of Officer and Non-Commissioned Officer insignia from The Western Front Association. Don’t overlook Social Media when you’re researching a soldier. While you may have your favourite mine is without a doubt Twitter. 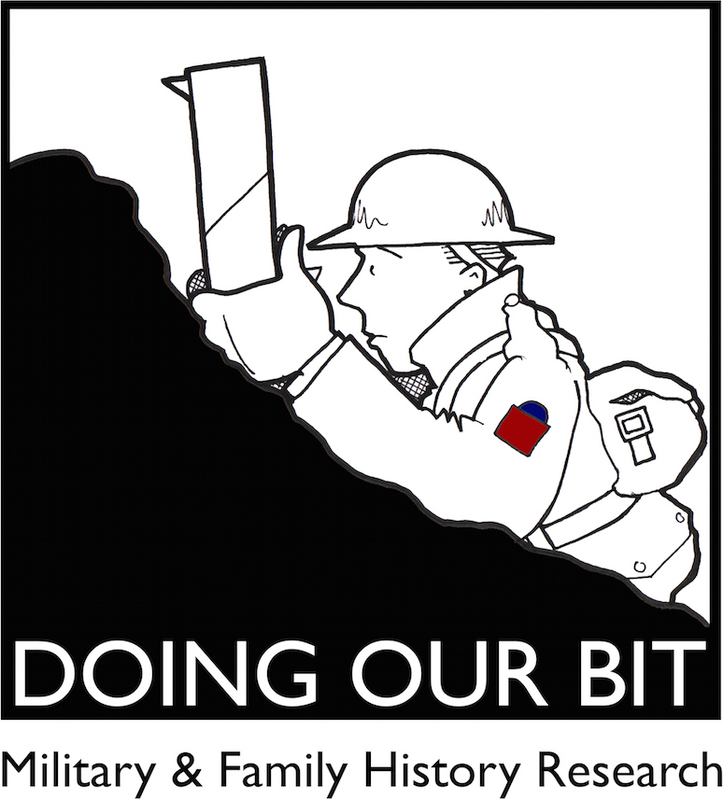 You’ll find a large community of friendly First World War historians, authors, battlefield guides and researchers exchanging information and viewpoints. Spend some time reading WW1-related tweets and then begin following those that share similar interests. Not sure where to start? Check out my tweets and who I follow. There’s no substitute for careful research when it comes to analyzing photographs but here are some quick tips you may find helpful. Canadian Service Dress Jackets have 7 brass buttons and a distinctive stand-up collar. These tunics were phased out in favour of the British pattern in early to mid 1917 but often sooner for Canadian soldiers serving at the front. Goat or Sheep skin jerkins (vests) were issued in the winter of 1914/15 but were replaced with fur-lined leather jerkins in 1916. At the beginning of the war some British and Canadian soldiers took cameras with them to the front however this practice was banned in the Spring of 1915. Most trench photos will date from before this period. 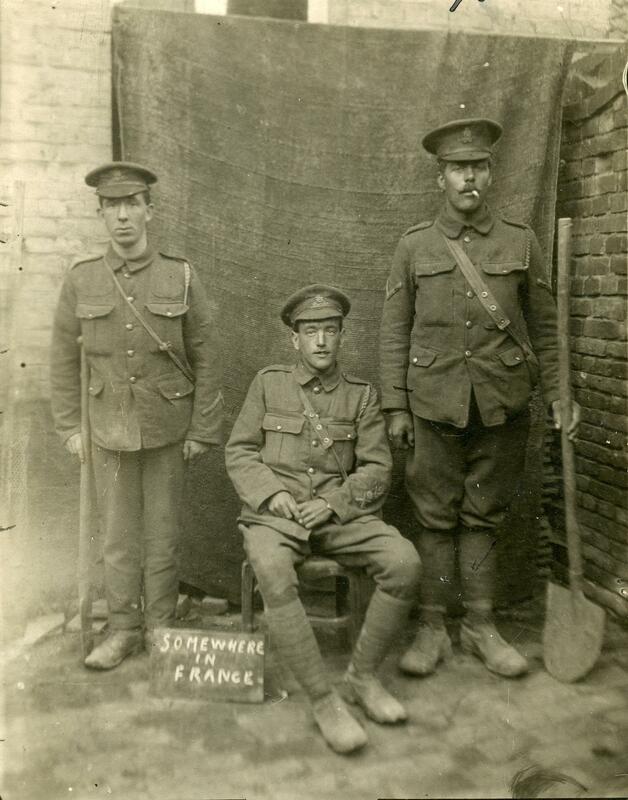 Officers serving in the British Territorial Force wore a small “T” beneath their collar badge while Other Ranks wore a “T” on their shoulder strap. The steel helmet, known as a Brodie, was introduced in late 1915 but was not in general use until the summer of 1916. Convalescing soldiers wore light coloured uniforms (or dark uniforms with light coloured lapels) called “Hospital Blues“. If a soldier is wearing one of these medal ribbons above their left breast pocket then the photograph was taken in or after 1919 (when the Victory and British War medals were issued).